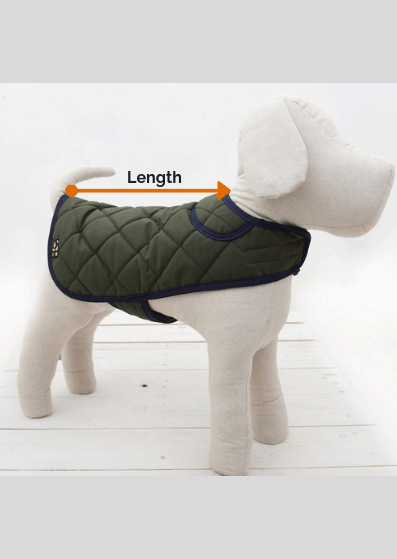 Home / Blog / Why does my dog bark and how to reduce unwanted barking? Why does my dog bark and how to reduce unwanted barking? Barking can be annoying for both owners, neighbours and anyone else in the vicinity. Interestingly dogs can release adrenaline when barking that potentially makes barking quite enjoyable. Of course, there are many different types of barking and we don’t want to stop barking per se, as owners we want to address excessive barking. 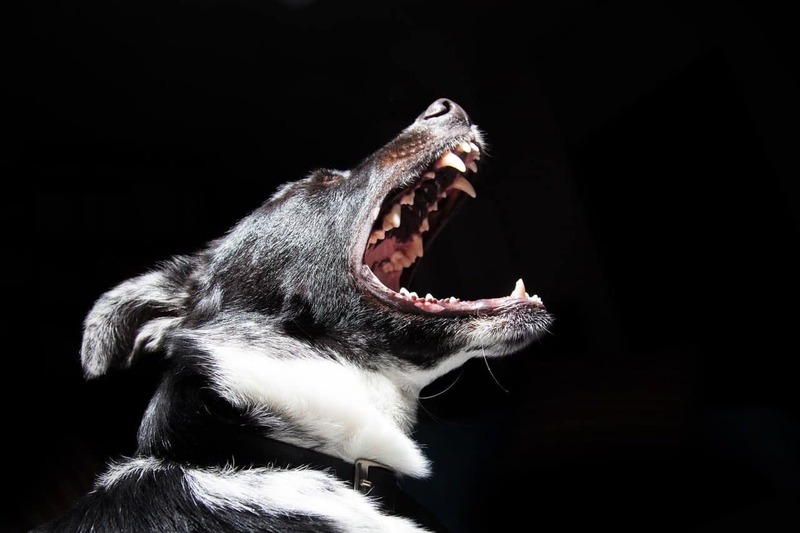 We explore why dogs bark and what can be done to stop excessive barking. Like their ancestor wolves, dogs like to be part of a pack. When left alone dogs will miss their pack which in turn may lead to barking. If dogs become extremely anxious when left alone then they may be suffering from separation anxiety (see our article relating calming anxious dogs here). You will know when your dog is barking playfully, usually accompanied by a wagging tail and possibly jumping up. This can occur when meeting people or when they have their favourite toy. Barking when scared can be triggered by anything and can happen anywhere, a sudden noise or a new unexpected experience. It’s not unusual for your dog to bark when it wants to go out, or wants more water in its bowl, or just wants a cuddle plain and simple! This isn’t a bad thing as dogs need to communicate and dogs can be taught to communicate in different ways, which we address below. All dogs will be very clear on where their territory like, usually your home and garden. If someone (particularly a stranger or another animal) infringes this area, then your dog is very likely to bark. Your dog may also appear aggressive (heckles raised etc). You could view your dog barking as the equivalent of us shouting, so if you decide shouting at your dog is a way forwards, guess what, your dog now thinks you are also barking so it must be a good thing! You should still instruct your dog to quieten down but with a calm tone, as with most dog training positive recognition has way more impact than punishment. Rewarding your dog when they have stopped barking is a good idea but only when they stopped on command (you may just say ‘quiet’ or ‘shush’). Once they understand a treat is coming your dog will begin to adapt its behaviour. Tiring your dog out can be a good way to reduce excessive barking, this can be useful if your dog barks whilst you are out. A long walk before you go out or lots of play with their favourite toy can help tire your dog and in doing so reduce barking. We’ve already alluded to the need to avoid raising your voice, so you don’t appear to be joining in. If your dog is ultra-excited and barking you need to maintain a calm demeanour, this includes your body language. Using gestures can sometimes be more effective than words, for example putting your finger to your lips. Other than barking there are many ways your dog can also communicate with you, so if your dog wants more water it could pat its bowl instead of barking. If your dog wants to go outside you could teach it to bang something by the door (could be a bell or anything that will attract you and avoid barking). These things can be taught over time so be patient. Boredom leads to barking so ensuring your dog has plenty to do to keep it stimulated. If your dog is being left alone (not recommended for long durations) then ensure you have some form of entertainment, some dogs like the radio to be left on. A visit from a dog walker or friend will break up the day for your dog. Using distraction when your dog barks is also a good technique, so pulling out your dog’s favourite toy may lead to it forgetting why it was barking in the first place. This can be effective when new people come to the door. If you dog likes barking at every passer-by or birds in the garden, then have a think about how you can block these stimuli. A fence with no gaps for example, or even a higher fence may work. Moving your dog away from the front of the how may also help reduce the temptation for excessive barking. If at any point you find the barking isn’t subsiding and there are other signals that your dog may have a problem, then you should seek specialist advice. If your dog shows the signs of separation anxiety, then a qualified behaviourist can help. It is also worth noting that barking in older dogs can be an early signal of senility and so veterinary advice may be helpful. There are many different types of bark collars on the market that claim to stop barking, these range from those that emit high frequency sounds, ones that give of citronella spray and ones that give a shock to your dog. The one commonality with them all is they offer punishment. We have already established that reward is the better way to go with any dog training and this is no different with barking. Whilst bark collars may have the desired effect in the short term, they won’t treat the cause of the barking and may affect the important relationship you already have with your dog.For these reasons we would not recommend any kind of bark collar. Whether you are trying to stop your neighbour’s dog barking, an owner with a dog that barks all of the time, we hope these tips have been useful. If you would like more tips then sign up to our newsletter here.